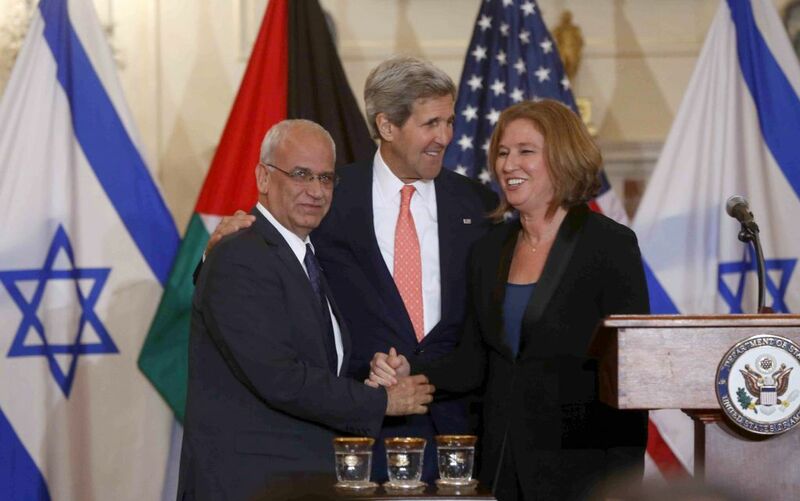 About two weeks ago July 30, President Barack Obama and Vice President Joe Biden met with Israeli and Palestinian negotiators Tzipi Livni (Israeli Justice Minister) and Saeb Erekat (lead Palestinian negotiator) in the Oval Office to start discussions about the two-state solution. Over the next nine months the Palestinian and Israeli representatives will meet to reach a “final status” agreement, trying to end one of the longest conflicts in the history of Middle East. Like in the previous attempts to solve this dispute, US will play a “facilitator role.” For that they have appointed former US ambassador to Israel Martin Indyk, as a special envoy to the talks. Though in my opinion appointing the same person who was responsible in finding a solution in the flunked Camp David is not a wisest thing, US still keeps its faith in him. During his public appearance, Secretary of State Mr John Kerry promised economical gains for the Palestinians if the final peaceful solution is reached and harmful attacks on Israel’s legitimacy ended. Saying that “There will be new jobs, new homes and new industries for the Palestinians.” Desirable outcome to wish for, but hard to believe when it lacks the explanation how it will exactly be achieved. Therefore seeming just an empty promises. He also claimed that during the negotiations all issues will be on the table for discussions. This will be a tricky situation because a lot of the subjects under the focus, such as the question of refugees, borders and settlements, have been through the years themes that have prevented finding a consensus. It will be interesting to see if they finally, first time in the history of the Palestinian-Israeli conflict, can find a solution that would please both sides. For example the question of Jerusalem. Palestinians wish to get back the East Jerusalem, which has been occupied by Israelis since the 1967. The Old City contains the third holiest place in Islam, the al-Aqsa mosque and the Dome of the Rock, from where Mohammed is said to have visited heaven on his winged steed Burak. Israel on the other had is unwilling to divide or give up Jerusalem, which is a religious and political centre for the Jews. It is also the capital of Israel and holiest city in the Judaism containing the Temple Mount and the Western Wall. I doubt that Israel or Palestine’s representative are willing to accept the other side’s demands and surrender in this demand. Secondly, the issue of borders and Israeli settlements. Palestinians want the lands that were seized by Israel in 1967 – the West Bank, East Jerusalem and Gaza to belong to a future Palestine. They also want all or most of the Israeli settlements to be abandoned. Palestinians appear to accept that some settlements will have to stay but they want to negotiate for a minimum number and a land swap for any that are left. Though Israel has withdrew from parts of the West Bank and Gaza, it would still like the borders to include the major Israeli settlements that have been built on the West Bank and East Jerusalem. Another complication in here is that some right-wing members of the cabinet and Mr Netanyahu’s Likud party do not accept the idea of a two-state solution and new borders. Any departure from this would break up the coalition which forms the government. Thirdly, the right to return. Palestinians demand the “right of return,” arguing that without it a great injustice would not be put right. Emphasizing that the people who lost their homes in the years of Nakba have the sole right of those lands and houses. They refuse to recognize the concept of Israel as a “Jewish state”, saying that this is discriminatory and ignores the Arab minority of Israel. Israel rejects the idea that Palestinian refugees from previous wars should be allowed any “right of return” to their former homes. They say that this is a device to destroy the state of Israel by demography in order to establish a unitary state of Palestine. These three issues are only few of the core topics that will be discussed during these nine months, but one of the hardest one’s. Though the US representatives seem to be confident that this time will be a breakthrough in this seemingly everlasting conflict. Unfortunately through the years the peace meetings have often taken the same form: both sides meet, agree on working towards peace and the two-state solution but never the less, pass the time without any visible actions or progress. The Oslo Accord, Camp David, Roadmap For Peace, Annapolis Conference are some of the well known examples of the failed attempts. Seems that all the meetings and conferences are more as a window dressing for the open public, just to show to the people that efforts have been made, than any real work towards it. Therefore, we will probably see more and more futile attempts until all sides finally recognize that open public has long lost the faith in all the meetings and instead of handshakes accompanied with a shiny smile, they want to see real results in solving the so called everlasting conflict. 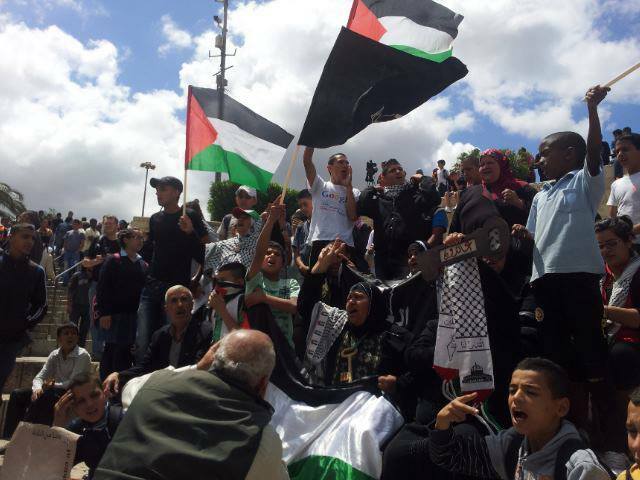 Monday 15th, thousands of people all over Israel joined in demonstrations against the violent and inhumane Prawer Plan that would evict 30,000-40,000 Arab Bedouins from their homes and land, destroying their communal and social fabric, condemning them to a future of poverty and unemployment. The Plan also calls for the demolition of about 40 villages and the confiscation of more than 700,000 dunams (70,000 hectares) of land in the Naqab (Negev). The so called resettlement plan was approved by the government in January and by the parliament in June. Two more votes are expected. Peaceful demonstrations turned in most of the places to violence when police forces started to throw smoke bombs into the crowd, capture them and beat them with bats. This provoked some demonstrators to throwing stones at them. Overall more than 30 people got arrested and approximately 50 people injured. 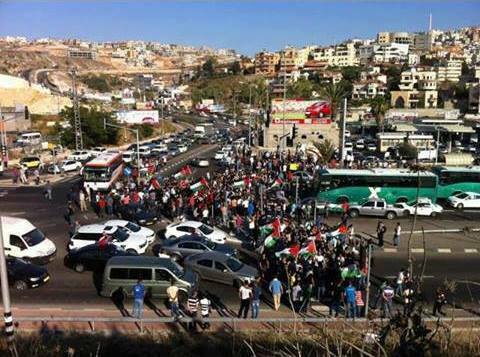 I witnessed the protests in Umm el-Fahem, where approximately 500 people took part. Blocking the road, carrying the flags, posters and shouting out messages like in the other locations. During the demonstration I asked observers what they think about such act and which emotions it brings. I wished to hear from both sides. There were various answers. 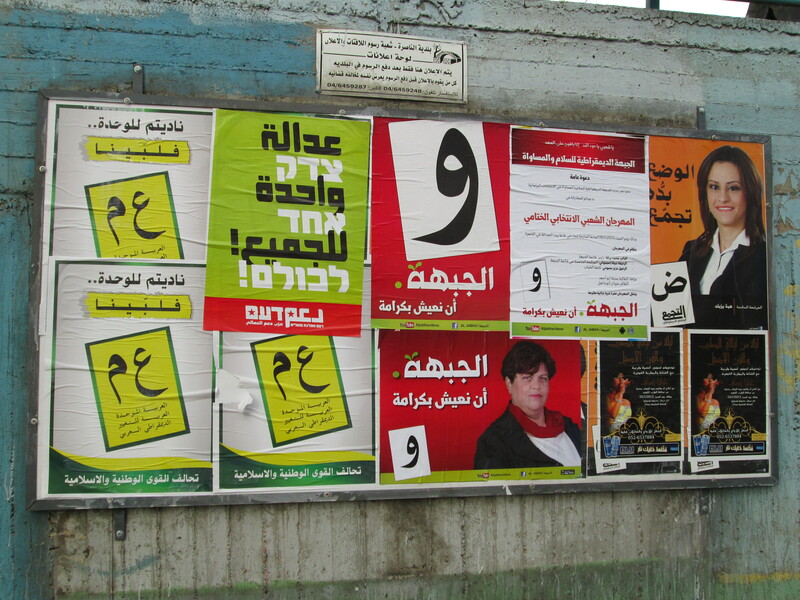 Most Israeli Arabs felt proud and happy that their thoughts are being said out loud and spread over the country. For them it was a small victory, a chance to show to Israel that Palestinian minority consist of proud people who are not afraid to defense their rights and fight against the injustice. Though they were still worried that this one time act does not change the Prawer- Plan, they were confident that this kind of demonstrations are necessary and may start further discussions. I also asked how do they feel about the general Israeli Jewish attitude against them? All of them said that though there are many friendly Jews, majority of them still don’t like Israeli Arabs and try to discriminate and suppress them through different laws. Here is a fragment of the message about the Prawer Plan. 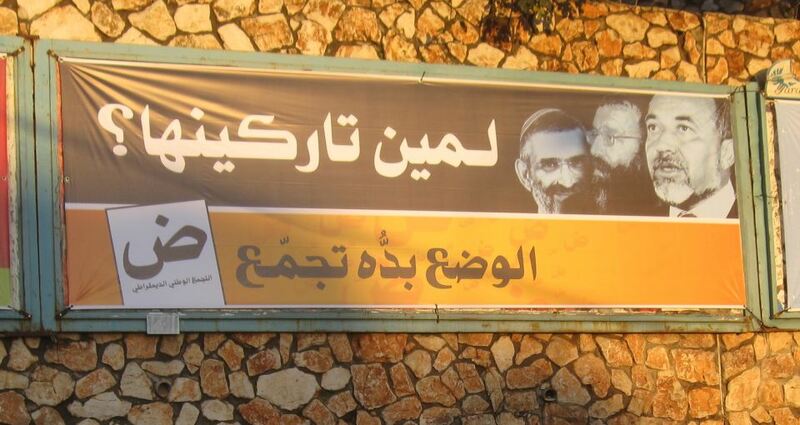 Naqab you are the base, with you we will stop Prawer! Naqab you are the will, rise the voice of awakening! Raise your voices young people, everyone has declared a strike! My people has decided, my people are free! People join us, land of the Naqab is precious to us! The daughters of Naqab is calling for you! From Naqab to the north, we are people who do not know fear! Prawer is out and the Arab land is free! With protest we will not let Prawer past! 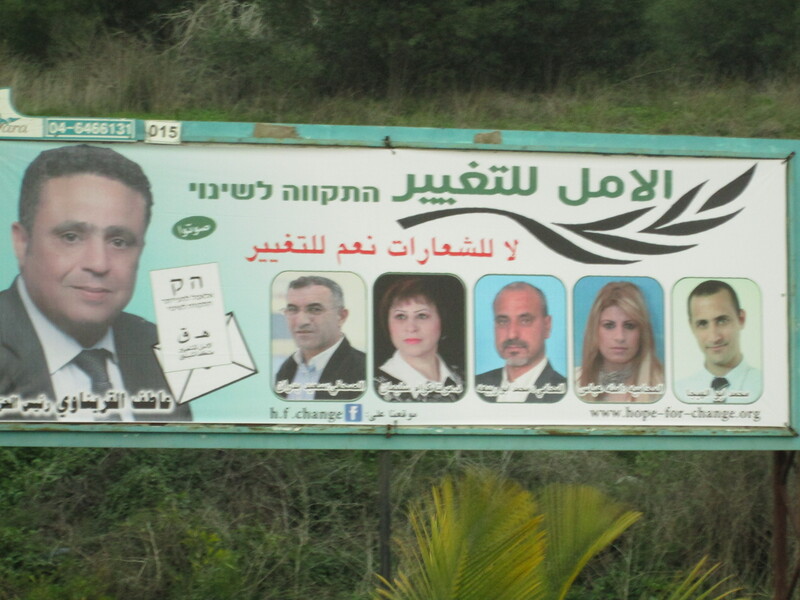 Prawer leave, the land of Naqab will not submit! Last Friday was the ending of Haq Youth movement season. 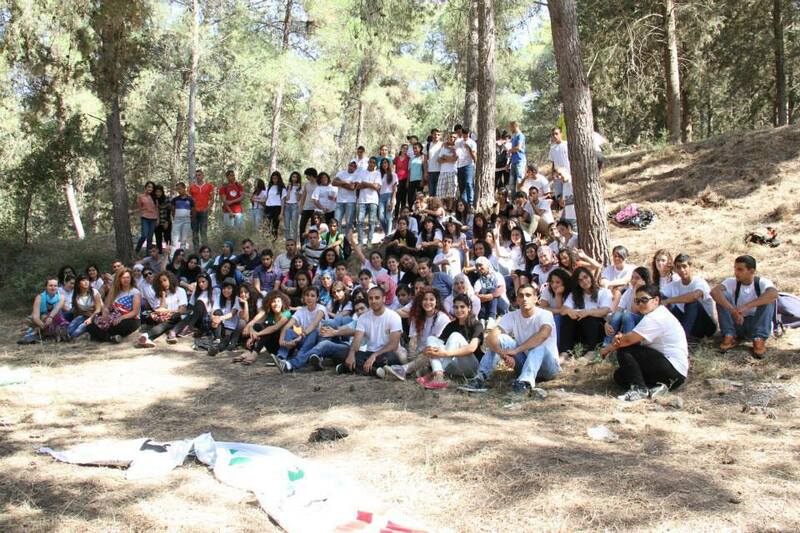 To show the appreciation HRA organized a short fieldtrip to the Saffuriyya village with a picnic, singing and handing out diplomas. All the facilitators, their group members and mentors were invited, bringing together about 100 enthusiastic and active young people. 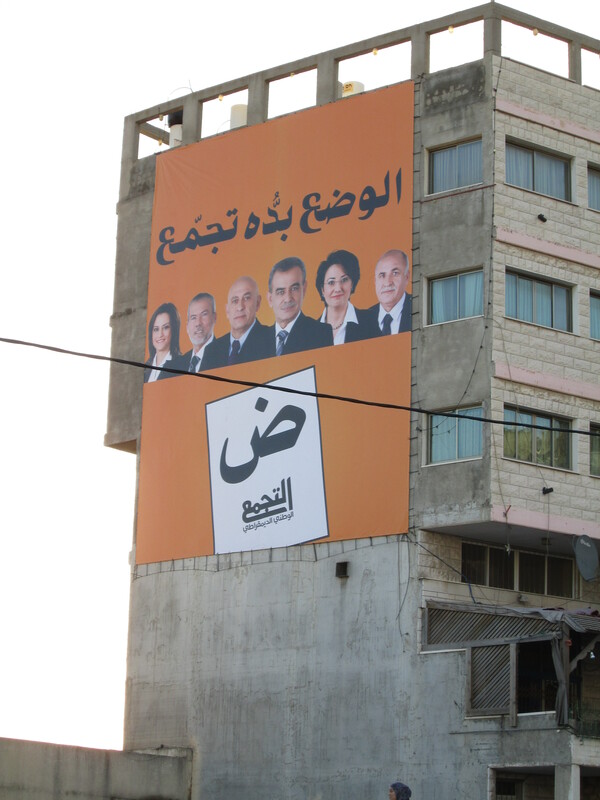 Day started with a trip to the Saffuriyya village. 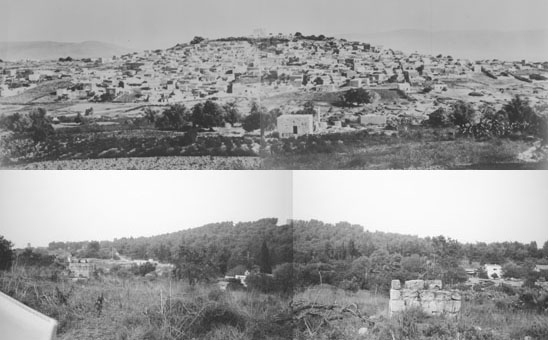 Until the 1948 Saffuriya was a Palestinian village with about 4000 people, who lived their quiet and peaceful life. This all changed in the 1948 when Israeli forces attacked and bombed the village, forcing everybody to go. All the residents of the Saffuriyya lost their homes and were forced to leave their lands. It was a sad sight to see. Empty land with some ruins to remind the fostering life that once was there. Here is a picture of Saffuriyya village, before and after the Israeli attack. Many Saffuriyyans still want to return to their lands, but they are forbidden to do so. Only Israeli Jews are permitted to live there. Therefore all the beautiful and new houses you can see before entering the village, belongs to them. Now they are trying to do the same with the Arab Bedouins (more about it from this article: http://arabhra.org/HRA/SecondaryArticles/SecondaryArticlePage.aspx?SecondaryArticle=2134). If this kind of behavior is not unhuman and clearly against human rights, then what is? After listening the guide, it was time for activities. We played different games to get to know each other and drew posters about Palestine and the Haq movement. We also sang national songs about Palestine. I didn’t understand the words, but I saw the mixed emotions they were causing. I saw the overwhelming pride of these youngsters, being high-spirited about being a Palestinian, being proud about their culture and heritage. Aside from that, I also felt sadness. Sadness about the Palestinians who are forced out from their lands, to make room for the Jews. Sadness about the restrictions they have to face, while being under the Israeli power. This is also how I see Palestinians in general, proud about their heritage, but at the same time feeling sadness about the losses and discrimination. At the end of the day, all facilitators and their group members were given diplomas to show HRA’s appreciation about their effort and work. Within every organization, it is important to show to your workers, especially to the volunteers that their presence and work is noticed and valued. Since there were so many people, I didn’t have the chance to get to know everybody, but the ones I did were all very welcoming and kind. I think this kind of attitude also describes the Haq Youth movement as general. Active group of youngsters who want to make a difference, working together to bring hope and raise the awareness about Palestinians rights, at the same time being kind and welcoming to all the people they meet. Thank you HRA and Haq Youth movement for this fun day! 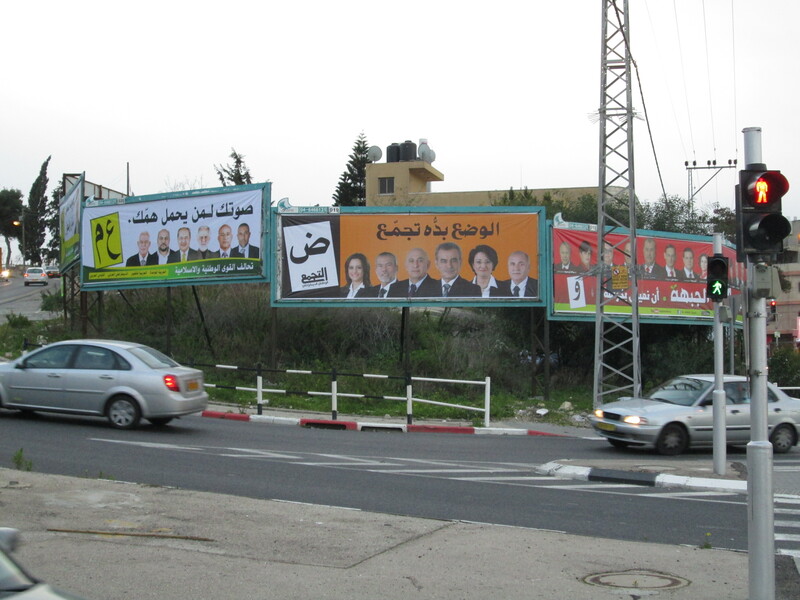 Nazareth – Late last night, Prime Minister Netanyahu’s government approved the Prawer Plan Law. This law was passed by the Knesset in 2011 and it legitimizes the displacement, dispossession, and eviction of tens of thousands of Arab Bedouin citizens of Israel, while not recognizing their right of ownership of their ancestral land. The Prawer Plan is presented as a “development plan” for the “improvement of living conditions” for all citizens of the Naqab, but with the mass expulsion of the Bedouin Palestinian citizens at the heart of the proposal. This approval paves the way for the next Knesset to implement it components, which stipulate the seizure of more than 800,000 dunams of land (about 200,000 acres). The plan will recognize around 30 unrecognized Bedouin villages, affording the residents the legal right to ownership of their homes, with a land area of around 48,000 dunams (about 12,000 acres), while the rest of their ancestral territory is confiscated. In effect, the execution of this plan is extortion. The Bedouin are forced to acquiesce in order to win legal ownership over their homes, but in doing so they give up their rights to their land. Furthermore, the Plan entails a five-year period for the Bedouin to accept the meager compensation or lose their rights to everything. This is basically a warning from the government. They will begin demolishing all but the recognized villages to make way for the development of Jewish settlements in the Naqab in the next five years and if the Bedouin protest, they will lose what small area they have. This most recent decision is disappointing, but not unexpected. The Prawer Plan has already justified the destruction of many homes in the Naqab. However, Sunday’s decision marks a significant step forward in the spread of destruction. The timing of this decision is also suspect. It comes in the weeks leading up to the formation of a new government (the American equivalent is a president’s lame duck period), but also the day after the High Court of Justice ruled in defense of the Prawer Plan. It will be difficult for advocacy groups to hold the new government that will form in a few weeks accountable for this abuse committed by its predecessor. The Arab Association for Human Rights calls on the government to overturn this decision and to uphold the rights of the Bedouin Arabs of the Naqab to their land and their homes. Furthermore, the HRA would like to denounce the clandestine manner in which the ruling was processed. Nazareth – 24 years ago, the Arab Association for Human Rights (HRA) was established with the mission to protect and promote the human rights of the Palestinian Arab citizens of Israel. Today, the condition of human rights inequality in Israel is no less dire. This past year has seen a gross violation of human rights in the form of Israel’s assault on Gaza, it has seen the Haifa District Court reject the appeal for justice on behalf of the family of Rachel Corrie, and it has seen the upgrade of Palestine’s status in the United Nations to non-member observer. On International Human Rights Day this year, the HRA would like to highlight the major developments in the human rights situation for the Palestinian minority in Israel. In October, the European Union Parliament voted to pass the ACAA protocol. This trade agreement may set a precedent for further advancement of EU-Israel trade and it represents a significant missed opportunity for the EU to exercise its institutionalized conditionality of human rights concerns in all trade deals. Over the course of the year, a spate of new legislation, proposed policies, and actions of lawmakers affected the condition of the Palestinian Arab minority’s human rights. In January, the Israeli High Court upheld the “Nakba Law”, which denies funding for any organization that recognizes the “Nakba”. Also in January, the “Prawer Plan” for Bedouin relocation was accepted. It will force the relocation of 70,000 Bedouin from their lands in the Naqab. On the 11th of January, the Supreme Court denied the petitions of many human rights organizations to revoke the discriminatory “Citizenship Law” which divides families of Palestinians in Israel. Also in July, MK Michael Ben-Ari published a video of himself ripping a Christian Bible in half; a clear polemic against religious minorities in Israel and an extremely troubling indicator of racism among public officials. These developments, international and local, are each troubling in their own right; however, the effect on the Jewish Israeli public is much more frightening. As a result of institutional discrimination, the Jewish Israeli population has become polarized and racism has become a mainstream political opinion. This process was the subject of an illustrative poll taken in September of Jewish Israelis in Tel Aviv. It found that 42% of Jewish Israelis do not want an Arab child learning in the same classroom as their own child, 33% favor legally blocking Palestinian citizens from voting in the Knesset, 59% favor preference for Jews in government hiring, and 42% do not want an Arab family as a neighbor. With the region as politically and socially tumultuous as ever, this should be an occasion to remember the Human Rights inside Israel as well. There are some disturbing trends that show no sign of stopping. Looking forward to the challenges we face in the future, the support of the international community will be as important as ever. This International Human Rights Day, the HRA reaffirms its dedication to the principles of freedom and equality. Our organization will continue advocating Israeli adherence to international humanitarian law and we will continue protecting and promoting the human rights of Palestinian citizens of Israel. For this past Sunday’s New York Times, Tom Friedman wrote an article entitled “The Full Israeli Experience”. Treating Friedman as an whipping boy has become popular in some circles in recent years, but for the Times to run such an opinion – in the widely read Sunday edition especially – its editors are lending credence to his close-minded and restricted view of the world. In doing so they promote misunderstanding and provide a buttress of support for national policies that are not in the American people’s interest. Even without the obvious critique that the “full Israeli experience” cannot be accurately applied to the country’s mainstream national politics when only 80% of its population is represented, this article was hugely disappointing. Tom Friedman argues that to be taken seriously in Israeli politics (and by virtue of the special relationship, American politics), you must understand the severity of Israel’s security situation. He argues that the “bastards for peace” approach of Ehud Barak is superior because it purports a re-trenchment in the ’67 borders and a serious effort to advance the peace process. This is a harmful simplification of the conflict. The problem is that the conflict does not end with the ’67 borders. This is not a binary conflict in which agreed upon borders will make history go away. The two states are inextricably linked. This goes beyond the right of Palestinian refugees to return and potential conflicts over religious site. This is about the 1.5 million Palestinian citizens in Israel living as second-class citizens. A re-trenchment would mean that Israel would love the pressure from the international community to make serious change in its politics and become the true bastion of democracy it has always claimed to be. The flaw in Friedman’s argument is best displayed with an example. Let’s use Egypt. In Egypt, Mohammad Morsi recently tried to acquire extra-presidential powers so he could advance the Muslim Brotherhood’s goal of codifying Shari’a law. This is something the United States, and many international freethinking progressive people oppose. Why do we oppose it though? Is it because Morsi would have become a dictator like Mubarak? Yes, partially. Is it because Shari’a law is what many Americans are actually afraid of and that there are deep seeded prejudices in the Western world against Islam? Probably. But, the real reason why Americans should have opposed Morsi claiming those extra powers is that at the heart of the American system of government and the root of liberalism is the belief that for all people to be free and equal, there can be no inherent link between a particular religion and the state. Unchecked state power in the hands of an Islamic party would generate institutional discrimination against any religious minorites. This brings us back to Israel. What Morsi was trying to do, the battle he is waging with the Egyptian courts right now is the same one that was fought over the future of Israel in its nascence. Eventually David Ben Gurion won out and propagated his vision of the Jewish State. For 64 years, the “Jewish and Democratic” state has thrived in perpetual hypocrisy. 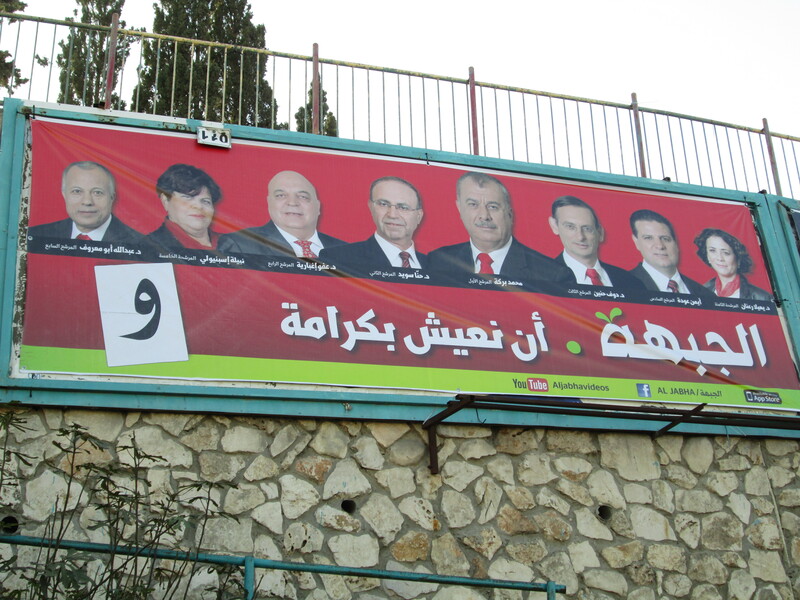 First, the Palestinian minority lived under military rule with a separate legal system, now it is perceived by many as a “nest of terror…that should be exiled” as Nazerat Illit mayor Shimon Gafso recently stated. This is an oppressed minority that lives with no real hope for change. Friedman, in his effort to create some weird fear-inducing paranoia on behalf of the Israeli people, has supported a strategy that would ensure the continued discrimination against 20% of Israel citizens. Yes, there are militant extremists who openly advocate for Israel’s destruction. They are a small, but vocal minority. Failing to address these major issues of self-determination and democratic values would only validate their claims and swell their ranks. There is no righteousness in holding a supposed moral high ground when the human rights of millions are being attacked. The path ahead may seem treacherous, but there is no better occasion to strive for harmony and justice than in the face of difficult times. Nazareth – This week the Arab Association for Human Rights (HRA) is proud to announce that a new group of students has graduated from our human rights training course. In the name of “Mansur Kardosh”, the HRA’s founder, our “Human Rights Education and Community Outreach” program presents a new group of human rights facilitators. 21 college students participated in the course. With the HRA’s “Haq” Youth Group, they will go on to establish human rights forums, which will increase human rights awareness and facilitate public action through volunteer work and application of their human rights training. The “Haq” Youth Group has already successfully launched 19 of these human rights forums is various Arab cities and villages throughout Israel. As trainees they were given 96 total hours of training, including special guest lectures, and covering various theoretical concepts and more practical applications. They learned about international human rights groups, minority rights, national rights and the specifics of how to manage and direct groups for the purpose of creating positive change. Nazareth – The Arab Association for Human Rights (HRA) would like to affirm that Israel is not above international law and the current escalating Israeli aggression on Gaza, with its continuing indiscriminate attacks on civilians and densely populated residential areas constitutes a war crime. Furthermore, the renewal of a policy of assassination is considered extrajudicial killing and constitutes a gross violation of human rights and international law. The continuing Israeli attack on Gaza and the threat to further expand its military operation constitute a flagrant challenge to the international community, who have shown their inability to take the necessary practical action to stop the crimes. It also is in violation of agreed-upon universal values of protection of civilians in time of war. The inability of the international community, including the United Nations Security Council and international legal bodies, to take firm action to stop Israel are perceived as giving approval of the continuing Israeli aggression against the Palestinians. Moreover, their mere silence is an act of compliance. 1) Confirms the need for the UN and the UNSC to fulfill its obligation to take immediate actions to stop the Israeli aggression and to take punitive measures against Israel to stop the ongoing war crimes. 2) Calls for international institutions to intervene immediately to provide the necessary protection for the Palestinian civilians and civil infrastructure inGaza. 3) Calls on the Human Rights Council and the general prosecutor of the International Criminal Court to initiate an investigation on all Israeli war crimes committed against Palestinian civilians and to prosecute those responsible in accordance with international law. 4) Calls on international institutions to provide the necessary humanitarian aid and medical relief to enable local Palestinian institutions so they continue providing the basic needs of the citizens under Israeli bombardment.